Grimdark and dark fantasy is, without a doubt, the rising star of the fantasy book world. Game of Thrones is an example of how grimdark fantasy has captured readers in a way other subgenres simply can’t. Many of the new fantasy books of 2019 are grimdark as well. Taking classic elements of fantasy and placing them in grim and real settings, pouring over adult themes and producing gripping, imperfect worlds, the best dark fantasy books reflect more on the world we know than your typical epic fantasy. Yet, that makes them no less enticing as a method of pure escapism. The subgenre presents many chances for authors to write some of the best fantasy books available today. If you consider Tolkien the innovator behind contemporary fantasy, then surely Joe Abercrombie is the man who brought grimdark into our hearts and minds? The First Law series is a dark and twisted experience, throwing every trope of fantasy you’ve ever known out the window in harsh but somehow satisfying ways. Easily some of the best dark fantasy books you’ll ever read. 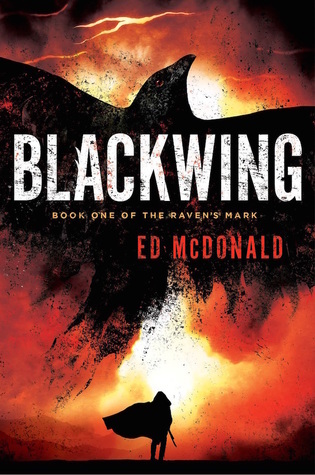 Ed McDonald is a name grimdark fantasy fans should take note of. His series, currently two into a trilogy, is receiving absolute rave reviews and appears set to line this author up as a rising star in the dark fantasy world. Both Blackwing and Ravencry offer everything you need from grimdark fantasy; real characters surrounded by a dark and unforgiving world. A deep and twisted world, featuring a diverse range of grimdark concepts from ruthless religious sects to unyielding characters with iron wills and the skills to enact their darkest plans, The Crimson Empire delivers in every single way you can think of when it comes to a the best dark fantasy books. Considered one of the best fantasy book series available today, let alone one that fits into the grimdark/dark fantasy category, The Broken Empire is beloved by genre fans across the world. Known for its striking storytelling and almost passive style, this epic trilogy offers some truly unexpected twists, twists that have you hooked through the entire narrative journey. 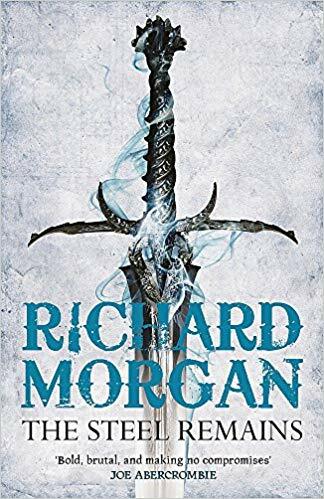 Beginning with the epic fantasy novel The Steel That Remains, and carrying through a trilogy with a collection of bewitching characters in an ever-changing world, A Land Fit for Heroes is a grimdark fantasy series that starts bloody and just gets bloodier. Beware, this book covers dark topics and themes; and we mean real dark. Perfect for the true grimdark fans amongst you. The world within which The Grey Bastards is set is a true example of a grimdark universe if ever there was one. 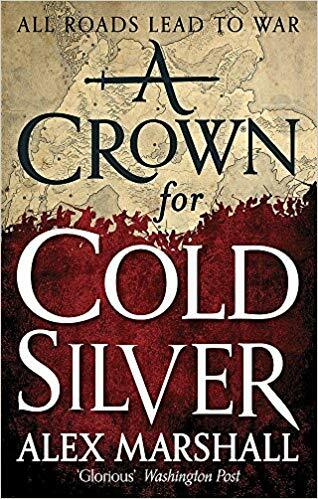 Filled with death, bloodshed, abominable tyranny and just good old-fashioned unfairness, it’s a dark and twisted place any fan of gritty fantasy books would enjoy discovering. The first in a promising series by debut author Jonathan French, The Grey Bastards is definitely worth any grimdark fantasy lovers time. When you hear the terms mercenary and grimdark fantasy in the same sentence, you know you are in for a grim and bloody affair. The Black Company is a series of grimdark fantasy books that combines both twisted, dark elements with classic examples of the epic fantasy. Setting a focus on military practice and how people deal with the stringent rules of the world, there is no room for mistakes for the characters of author Glen Cook’s narratives. Six of Crows, and its follow up Crooked Kingdom, have been lauded by critics as perfect examples of intelligent, fast-paced and sometimes gut-wrenching young adult fantasy books. Written by best-selling fantasy author Leigh Bardugo, whose previous fantasy series sold over 2 million copies, Six of Crows’ focus on character perspective cannot fail to keep you wrapped up in this epic and dangerous world. The debut novel of R.F Kaung, this really is one of the best grimdark fantasy books around. It takes readers on a journey that will captivate and enthral, while also bringing equal measures of uncomfortable moments and genuine fear. The first in a trilogy, Kaung promises to follow with more exciting stories. Looking for more of the best fantasy books? Enter the world of Azra with The Azrian Anthology: Volume #1 and experience a series of fantasy short stories. Explore the depths of sacred forests, witness horrors of both monsters and man, and follow uncertain and unhinged figures as they navigate the tough Azrian landscape. The Azrian Anthology includes many elements of some of the best dark fantasy books. Now available as a fantasy eBook or directly on this website: read short stories online.